Birdsboro Power, LLC, is proposing to construct and operate a 485 megawatt (MW) natural gas combined cycle power plant along the banks of the Schuylkill River. The proposed plant would be built on the former Armorcast property which is located in the Borough of Birdsboro and Union Township, Berks County. 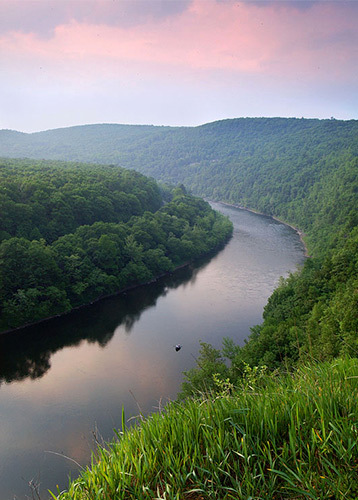 The Delaware Riverkeeper Network believes that this power plant is ill advised and threatens the environment and quality of life in Birdsboro and beyond. Permitting of the power plant and its appurtenant structures is being rapidly advanced. The power plant is to be built on a site that is located in the floodplain. In order to build the power plant at this location, filling of the floodplain is required. Compacted soil fill will be used to raise the land surface by 4 feet. The final grade is intended to be just 1 foot above the regulatory flood elevation. We believe that this development within the 100-year regulatory floodplain will exacerbate flooding in the area as well as downstream. Past flooding in Birdsboro has been attributed to backup of the Hay Creek from high stages of the Schuylkill River. The proposed fill on this site will only exacerbate the issue of Hay Creek backup during high Schuylkill flows. However, no hydrologic and hydraulic report has been prepared to assess the impacts of the proposed power plant. This power plant will require an extension of a 16-inch water line by the Reading Area Water Authority to provide water for cooling. The water line extension will permanently impact Hay Creek and Exceptional Value Wetlands, as well as the Angelica Creek and unnamed tributaries to the Schuylkill River. This work is all for the purpose of providing cooling water to the proposed power plant which will vaporize and consume up to 2.72 million gallons per day. Also to be constructed is a new 4-mile long, 230 kilovolt (kV) electric transmission line, and a 230 kV subsubstation to tie into the existing power grid. The power line will run from Birdsboro, crossing the Schuylkill River into Exeter Township to run along the river's banks until it crosses the river a second time into Robeson Township where the substation will be constructed. The new transmission line, which will have a 100 foot wide right-of-way, has 29 monopoles that tower 110 to 140 feet in the air. Eight of these monopoles are proposed to be located in the floodway of the Schuylkill River, that area that experiences the deepest and fastest moving floodwaters during a flood event, with 12 more monopoles to be located in the flood fringe. The substation, to be built in Robeson Township, will occupy nearly 6 acres also requires filling due to its location in the regulatory floodplain. A new natural gas pipeline, to be be built by DTE Midstream Appalachia, LLC, (DTE) will supply the power plant. The pipeline route runs from Texas Eastern Transmission Company (TETCO) pipeline in Rockland Township, through Oley, Amity, and Union Township, and ending at the power plant in Birdsboro. DTE will construct and install 13.2 miles of new 12-inch diameter natural gas pipeline; a new pig receiver at the power plant; a new meter site adjacent to TETCO right-of-way; a new pig launcher at the TETCO interconnect; two new taps on the TETCO pipeline; and four mainline valves along the pipeline route. Birdsboro is a gateway to the Hopewell Big Woods, the last large, unbroken forest left in southeastern Pennsylvania. The former Armorcast site represents an opportunity where the Borough of Birdsboro and public and private interests could work together to create an amenity that enhances the environment as well local historic and recreational attractions. The proposed power plant, to be located 500 feet from occupied homes, represents a disamenity that will set back Birdsboro as well as bring harm to other Berks County communities, all for promised economic benefits that are unlikely to be realized.